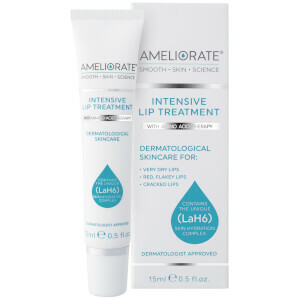 The AMELIORATE Intensive Lip Treatment progressively hydrates, refines and improves lip texture, providing instant comfort and long‐term relief to very dry, chapped lips. Our optimum levels of active ingredients, together with a blend of our unique LaH6 Skin Hydration Complex replenish hydration levels, enhance the skin’s protective moisture barrier, improving elasticity and smoothness. After years of struggling with Keratosis Pilaris, Anette founded Ameliorate with the mission to create softer, smoother, healthier-looking skin for everybody. With a unique combination of ingredients the range helps to hydrate dry skin, prevent ingrown hair and leave all skin amazingly soft and smooth.